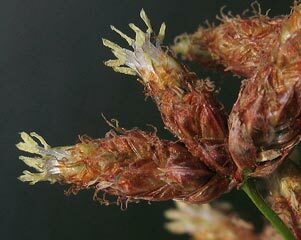 Possibly originally a generic name for large rushes (Cyperaceae). 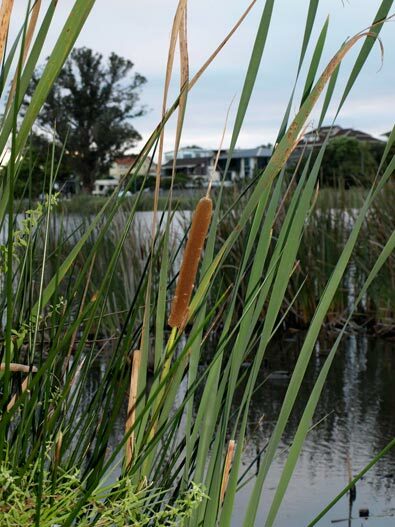 This is a term which appears to have originated in Tahiti, and has been applied to several kinds of bulrushes in the course of its dispersal. Watch this space! This page is still very much under construction. However, it contains the essential linguistic and botanical information, to which both text and pictures will be added progressively as soon as time permits. See the "News" for February 2016 for more information. 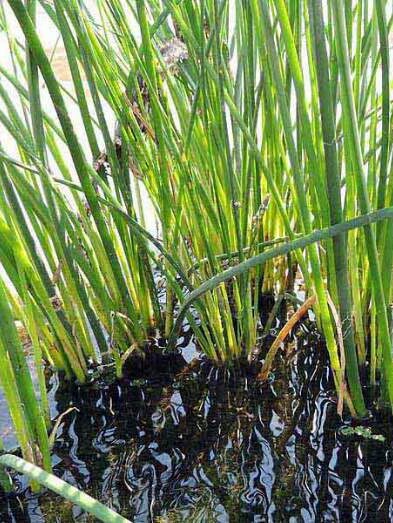 In Tahiti, raupō is probably a designation for a native sedge. 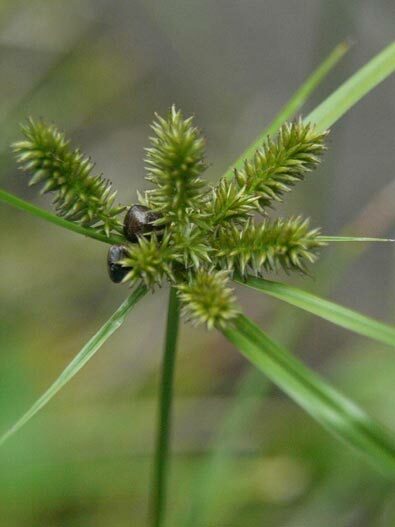 The term mō'ū is a general term for sedges, including Cyperus cyperioides (illustrated above), but the exact referent for the "raupo sedge") has not been botanically identified. The term mō'ū raupō, adopted from Tahitian, also denotes the rush Schoenoplectus litoralis thermalis (formerly known as Scirpus subulatus) in Rarotonga. This plant is not native to Polynesia, although it has been introduced into Tahiti and Rarotonga; it is widely distributed in Europe, Asia and Africa. S. californicus is of uncertain status in Polynesia; it is widely distributed in the Americas and appears to be native also in Rapanui and Hawai'i. Further information : (See Bibliography). There are pages devoted to Schoenoplectus californicus in the Cook Islands Biodiversity database and also on the University of California at Irvine's Natural History of Orange County database. There is also a gallery of photographs of S. litoralis on the Department of Life Sciences, University of Trieste web site. 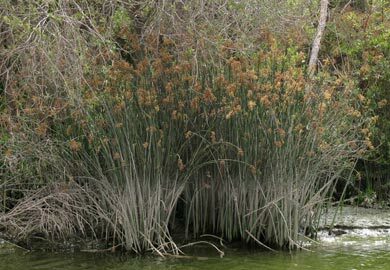 A similar gallery of photos of Scirpus californicus appears on the Santa Monica Mountains National Recreation Area web site. 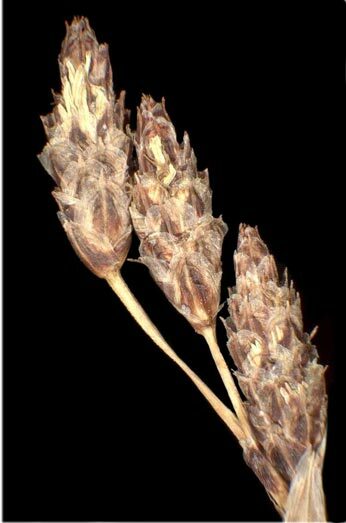 Photographs: Cyperus cyperioides, Keisotyo; Raupō, RB; Schoenoplectus litoralis flower head, Andrea Moro; S. litoralis clump, Franco Caldarero; S. californicus, Santa Monica Mountaind National Recreation Area gallery.